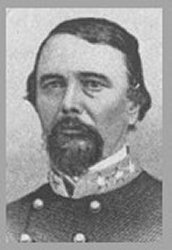 Brigader General James Chesnut, Jr.
Death: 1 February 1885, on his plantation near Camden. James Chesnut was the youngest of 13 children in a wealthy South Carolina family that owned five square miles of plantation land. His family had for many years been distinguished for patriotism and lofty character. He received his collegiate education at Princeton, with graduation in 1834 or 1835, after which he devoted himself to that generous and hospitable life which was characteristic of the ante-bellum period in the South. 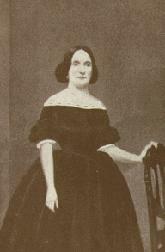 In 1840 he married Mary Boykin Miller, the daughter of a former governor and a woman destined to be the most celebrated diarist of the Civil War. In 1842, he was first elected to the State legislature, in which he served ten years as a member of the lower house and four years as a State senator, from 1854 to 1858. During this period of public service. he became widely known as a representative South Carolinian and esteemed for his integrity and capacity in public affairs. Promotion to higher trusts naturally followed in 1858, when he was elected to the United States Senate to fill a vacancy in the delegation of the State. In 1859, on account of the aggressive anti-slavery agitation (he favored reopening the African slave trade), he tendered his resignation to the presiding officer of the Senate and returned home to serve on the committee that drafted South Carolina's secession ordinance, but no action being taken he continued to conscientiously perform his duty in representation of his State, until South Carolina withdrew from the Union. He was one of the delegates of his State in the Provisional Congress of the Confederate States, and served in that historic body with dignity and ability. Before the bombardment of Fort Sumter, serving as volunteer aide on the staff of General P. G. T. Beauregard, he and Captain Stephen D. Lee bore to Major Anderson the formal demand to surrender before the bombardment began, and again with Beauregard at Manassas he was sent to Richmond about the middle of July to present to the President for consideration the plan of campaign which Beauregard desired to adopt. After Bull Run he served on the staff of President Jefferson Davis and then was elected chief of South Carolina's militia, a post he held until autumn 1862, when Davis, a personal friend and confidant, asked him to return to Richmond and rejoin his staff. There Chesnut performed many important duties for the president and supported him though the young nation's trials. Subsequently Senator Chestnut, who had served on an intimate footing with Mr. Davis in the United States Congress, was appointed aide-de-camp on the staff of the President Jefferson Davis, with rank of colonel of cavalry. In April 1864, Chesnut's request for field duty was granted and he was appointed brigadier general commanding a brigade of reserves on the coast of South Carolin in the Department of South Carolina, Georgia, and Florida, a post he held until the end of the war. After the war Chesnut worked to end carpetbagger rule and as member of the Democratic party and a delegate to the national Democratic convention in 1868, took an active part in the reconstruction of South Carolina.